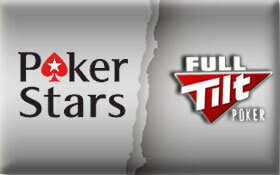 Full Tilt Poker was previously the 2nd largest poker site in the world. Full Tilt Poker had licenses around the world including in France with the ARJEL, which is the French online gaming regulatory body. As part of the deal that has PokerStars buying Full Tilt Poker, PokerStars has assumed all Rest of World player balances of Full Tilt Poker including French players. 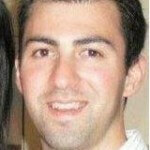 The ARJEL has just approved the process for French Full Tilt Poker players to cash out their frozen player balance. In addition PokerStars with approval from ARJEL has created a trust fund which will ensure that all French players are paid their full balance. When Black Friday hit, PokerStars quickly setup a trust fund account for all French players to ensure their player balances were safe. This helped alleviate any pressure on PokerStars and helped show players that there funds were safe and secure, unlike Full Tilt Poker at that time. 1)	French Full Tilt Poker players will have to verify their identity and account details to gain ownership of the player balance. 2)	The FullTiltPoker.fr account will then be paired with a PokerStars.fr account (players must have PokerStars.fr account). 3)	The funds in the players FullTiltPoker.fr account will then be transferred to the paired PokerStars.fr account where the player will then be able to withdrawal or play with those funds. This procedure will be in place for the eventual reopening of Full Tilt Poker by November 6, 2012. The Full Tilt Poker brand will not be active in French at re-launch however PokerStars will explore re-launching Full Tilt Poker in France at a later date. Full Tilt Poker was a previous license holder within France and had the license revoked in 2011 when FTP failed to pay back players in France.